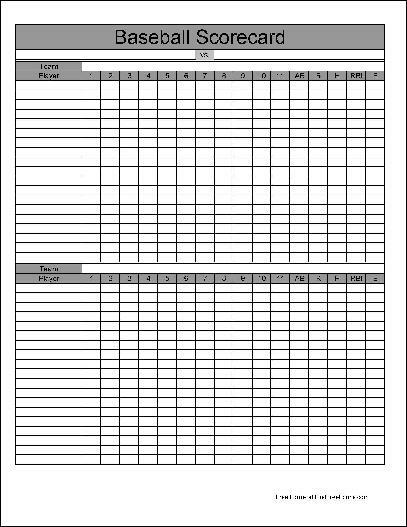 Form Description: Whether you are looking to play little league baseball, or keep track of the big boys in the professional games, you will need to use a scorecard. With this great score card you can not only keep track of the various team scores, but also the players on that team. It can be a really great help, particularly when you are wanting to keep track of the individual player statistics throughout the season. This form ("Basic Baseball Scorecard") is associated with the following keywords: baseball, game, tracking, score, log, winning, losing, statistics, basic.